Read the terms and conditions as listed below before signing the application form. Clicking on accept indicates that you agree to abide by the terms and conditions of the contract. These pre-program payments are and under no circumstances will they be refundable. Spanish courses: cancellations will be effective only if we are informed of the decision at least 4 weeks before the course is due to commence and they will carry a 100 euro cancellation fee. In each case, those participants that notify us of a cancellation before the start of the course will be able to put the course on hold and undertake it within a period of up to a year afterwards. All other programs: cancellations will be effective only if we are informed of the decision at least 4 weeks before the course is due to commence and they will mean the loss of 50% of the paid-up price. Cancellations are only accepted when made formally by fax, e-mail, by mail or telegram. If a student withdraws from the program once it has begun, any payment previously made will not be refunded. 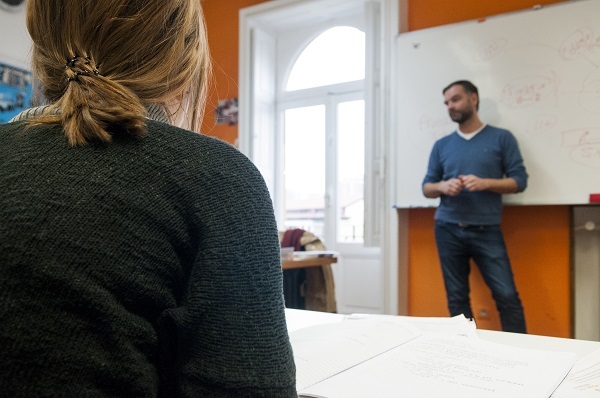 Those participants undertaking the main Spanish course will be able to save what's left of their course and recommence within a period of up to a year afterwards. Instituto Hemingway reserves the right to ask the participant to withdraw from the program for disciplinary reasons. This extreme step will mean the loss of all previous payments made by the participant. Those persons under 18 that participate in any of the programs must do so with consent from a parent or guardian who assume that Instituto Hemingway should inform them upon fixing timetables, activities and disciplinary actions to which their children or pupils will yield. Instituto Hemingway cannot be held responsible for any injury, loss of time, money or other possessions that may affect the participant throughout their undertaking of the program. The participants must ensure that they have full medical and travel insurance. Instituto Hemingway can provide medical insurance upon the particpant's request. The participants will be held personally responsible for any damage or liability occurred during the course of the program. Participants acknowledge that international travel involves risks. Instituto Hemingway cannot be held responsible for the actions of persons not employed by the school. Instituto Hemingway welcomes applications from students with disabilities and will do whatever we can to assist with your study abroad plans. Students with disabilities may find some of our program sites more accessible than others. Instituto Hemingway is happy to adapt the programs in order to cover your specific needs. Students must specify what support they require in order to be able to adjust certain installations, especially where accommodation is required. Signing up to any of the programs can be done on our website at the web address www.institutohemingway.com by filling out the enrolment form. Instituto Hemingway will then proceed to confirm the enrolment, book the program and indicate the total price of the program. Following on, the participant must settle the payment of the program according to the conditions stated in point 1 of these general terms and conditions. The participants will be able to use any of the following forms of payment that are listed: cheque, bank transfer, card or cash. Instituto Hemingway cannot be held responsible for any of the classes that the student may not be able to attend. In the case that classes are missed because of illness or unforeseen circumstances of up to a week in duration, the student will be able to have the classes made up provided that the reason is well justified. Instituto Hemingway stays closed on days that are national or local holidays. The student does not have the right to have the classes made up which are missed due to this reason although the student will be able to be booked on to excursions or other visits. The classes are given in accordance with the timetables, number of students, levels and conditions that are published. Instituto Hemingway is obligated to comply with the specified conditions and in particular the maximum limit of students per class, the timetable and levels. Students will be able to ask for a change of program and level, although the decision about what is best for you is ultimately up to the teaching team. Instituto Hemingway reserves the right to ask that the students/interns withdraw from the programme if the company/organization in which the internship is undertaken encounters unsolvable problems with the student. In the same way, the company/organization in which the student is placed reserves the right to ask the students/interns to withdraw from that particular placement for the above reason. In this instance, Instituto Hemingway is obliged to place the student in another company/organization with similar traits. The intern can request a change of company/organization if for whatever reason they do not find themselves comfortable. Instituto Hemingway will provide an alternative in a maximum period of 2 weeks. Only one change of placement will be made per participant. The intern will adhere to the rules of the country where the internship is being undertaken and will adapt to the local customs. The intern will carry out their duties and obligations to the best of their ability. To sum up, they will adhere to the instructions given by the mentor of the company/organization at every moment. The intern will pay for the transport costs to and from their country. The pupils' parents or guardians give permission under their guardianship that their children participate in the camp and the activities programmed. In every moment the students must adhere to the instructions set out by the organization regarding teachers, monitors and fellow camp members. The following guidelines form the basis of expectations to be fulfilled upon, which will benefit all involved. The families and au-pairs are aware that to live together harmoniously requires complying to the family rules discovered over time and to make an effort to adapt to the ways and customs of each family. If the living conditions were not satisfactory for either party - the family or the au-pair - they will be able to request a change of family or au-pair, respectively. This change will be attended to by Instituto Hemingway within 15 days and will be the only change made. 1. The participant declares to know the Price, duration and the course services, which are published in the teaching guide for each course and on the website. Course fees must be paid in full before the course starts through the payment methods offered by Instituto Hemingway. Some courses allow payment by instalments in specifically expressed circumstances. 2. The participant declares to have received all the information concerning the conditions, course content and programming and has a period of 3 working days prior to which passwords are provided to withdraw from the contract, with the right to a full refund, without having to complete any forms, unless communicated in writing to Instituto Hemingway. After three working days a refund cannot be given. 3. In the teaching guide for each course; the contents, conditions and characteristics are detailed. The participant declares to know the content of the teaching guides. 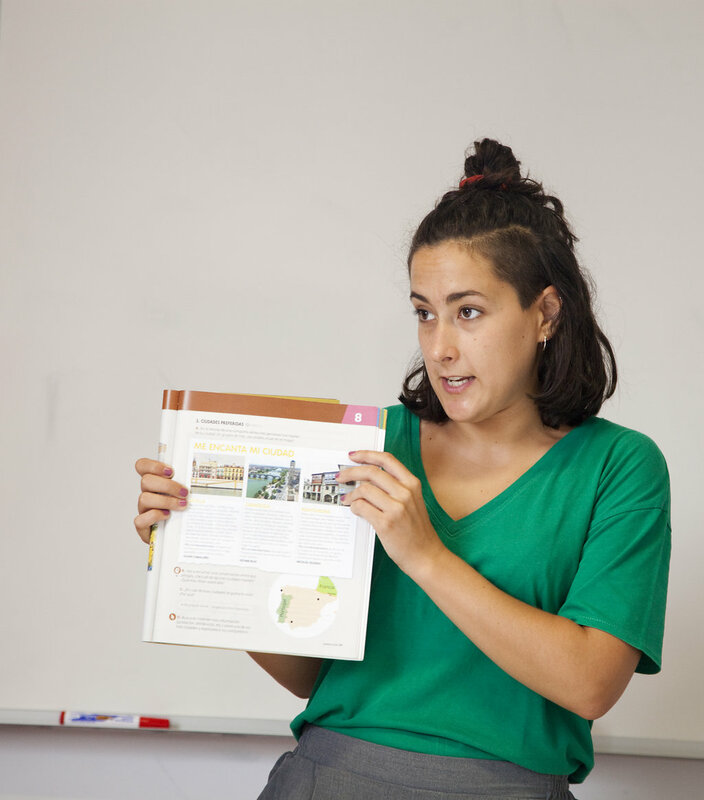 Each course is tutored by teachers with advanced or intermediate degrees in the subjects to be taught and / or professional experience in the relevant subjects. The tutors are responsible for explaining, correcting and evaluating the course content, practising and self assessing the exercises. Instituto Hemingway will replace teachers when it is necessary, ensuring that they are also profesionally qualified. Any doubts or questions about the contents of the course can be made to the tutor or tutors through the virtual classroom. The maximum response time for questions and tutorials is 2 working days. 4. In the case of telephone tutoring via Skype or Google Talk, the tutor and the participant will agree on a specific time in which to undertake the tutoring, which will last for a minimum of one hour. Assuming that the tutoring could not be carried out due to the absence of the participant or technical problems, these are not attributable to Instituto Hemingway. This means that the tutoring will be held for an hour. If the participant wishes to cancel an appointment with the tutor, this should be expressed at least 24 hours in advance. 5. The virtual classroom can be accessed through a username and password. The password is personal and not transferable. If the password or username is lost or stolen, the user must immediately notify Institute Hemingway in order to prevent unauthorized changes and access. The participant is entitled to enter the virtual classroom until the educational programme has been completed; assuming that delays in its conclusion can lead to changes in the course content. 6. At the end of the course, the participant will be evaluated by the assigned tutors. If the evaluation is positive, then Instituto Hemingway will issue a diploma of achievement which will express in the contents of the course the hours and duration. A course registration certificate can be issued if the participant fails to pass the assessment of the course but only if requested by the participant. 7. The participants declare to posses or have access to a computer that is suitable for the telecommunication specifications and an internet connection that allows access to the virtual classroom and the tutorials via skype or Google talk. Likewise, they declare to have sufficient computer skills that allow access to the contents of each course and follow the proposed methodology. 8. In the virtual classroom where social interaction takes place, such as chat and Forums etc, participants can voice their opinions to maintain interactive communication with other participants. These conversations should be appropriate and respect other users and it is totally prohibited to cause discomfort to other participants, teachers or members of Instituto Hemingway, who have the right to remove any comments which are considered to be offensive. Instituto Hemingway is not responsible for the opinions, contents and other materials that the participants contribute to the Virtual Classroom. 9. The contents included in the courses are published by Instituto Hemingway and are updated periodically in order to guaranty that they are up-to-date. Total or partial reproduction of the edited contents remains prohibited. The intellectual property rights of the content of the web page and the graphic design are the property of the centre; therefore its reproduction, distribution, public communication and transformation are prohibited, except for personal and private use. Likewise, it also prohibits the use of any method to disclose or duplicate the teaching methodology or technology for any purpose other than for personal or private use. 10. The participant promises not to engage in activities or access computer systems, which are unauthorised both at the centre as well as with third parties. Also, the participant should not engage in activities which have unauthorised access, alter or manipulate information, whether the information belongs to the centre or if it belongs to third parties. Instituto Hemingway provides accommodation to those participants that put in a request for any of the types on offer, for which they must make a reservation at least 15 days before their arrival and await confirmation of the desired accommodation. Instituto Hemingway acts as a coordinator between the students and the property owners, making firm reservations and payments on behalf of you. The participants will have the right to enjoy the accommodation at the price and within the conditions publicized, being able to prolong the stay given that they put in this request far enough in advance and always subject to availability. Instituto Hemingway does not guarantee that refunds will be made for previous payment made if the student decides to leave the accommodation earlier than originally stated or change accommodation type. Participants will be able to enjoy the accommodation subject to some basic rules which the property owner dictates or the families, in that case. Additionally, the enjoyment of the accommodation is subject to the rules that are set out here, according to accommodation type. Not complying with the rules will mean the removal of the participant's rights and to any previous payment made. To be tidy in the house: keep tidy personal clothes, make the bed, clear your place at the dinner table after having finished eating. To not use the family's personal items without their consent: towels, brushes, combs, soap, shampoo. Instituto Hemingway is obligated to attend to requests for changing family that are made by the participants that will be effective from after a period of no more than 7 days. This option is only available to students once. Respect others' relaxation time. Stay quiet at night time: avoid unnecessary noise, loud music and TV, showers. Limit the number and frequency of guests so as to avoid that they may cause annoyance to the rest of your flat mates. Under no circumstances may any visitor stay in the flat for more than one night. When we need to obtain information from you, we will always ask you to provide us with it voluntarily and explicitly. The data collected through the data collection forms on the website or through other means will be incorporated into a personal data file duly registered in the General Data Protection Register of the Spanish Data Protection Agency, for which Instituto Hemingway S.L. is responsible. This organisation will treat the data confidentially and exclusively for the purpose of offering the requested services, with all the legal and security guarantees imposed by the (EU) REGULATION 2016/679 OF THE EUROPEAN PARLIAMENT AND COUNCIL of 27 April 2016 concerning the protection of individuals with regard to processing personal data and free movement of such data and repealing the Directive 95/46/EC (General Data Protection Regulation) and Law 34/2002 of 11 July 2002 on Information Society Services and Electronic Commerce. Instituto Hemingway S.L. promises not to transfer, sell or share the data with third parties without your express consent. Likewise, Instituto Hemingway S.L. will invalidate or correct the data when it is inaccurate, incomplete or no longer necessary or relevant for its purpose, in accordance with the provisions of the (EU) REGULATION 2016/679 OF THE EUROPEAN PARLIAMENT AND COUNCIL of 27 April 2016 concerning the protection of individuals with regard to processing personal data and free movement of such data and repealing the Directive 95/46/EC (General Data Protection Regulation). The user may revoke the consent given and exercise the rights of access, modification, suppression, limitation of processing, transferability and disapproval of their data by contacting info@institutohemingway.com or calle Bailén 5 – 2º Dcha Bilbao (Spain), duly identifying themselves and explicitly indicating the specific right being exercised. Instituto Hemingway S.L. adopts the corresponding security levels required by the aforementioned GDPR and other applicable regulations. Nevertheless, it does not assume any responsibility for damages derived from changes that third parties may make to the user's computer systems, electronic documents or files. If you choose to leave our website through links to websites not belonging to our organisation, Instituto Hemingway S.L. is not responsible for the privacy policies of such websites or the cookies they may store on your computer. Our email policy only focuses on sending communications that you have requested to receive. If you prefer not to receive these messages by email, we will offer you the possibility of exercising your right to cancel and stop receiving these messages, in accordance with the provisions of Title III, Article 22 of Law 34/2002 on Services for the Society of Information and Electronic Commerce. We use the information you provide us with in order to deliver the requested service and make an invoice for it. The data provided will be kept for as long as the business relationship is maintained or during the years needed to comply with legal obligations. The data will not be passed on to third parties unless there is a legal obligation to do so. You have the right to obtain confirmation as to whether we, at Instituto Hemingway SL, are processing your personal data and therefore have the right to access your personal data, correct inaccurate data or request it to be deleted when it is no longer necessary. Likewise, by indicating on the form, you give us permission to offer you products and services related to what you have requested and to build customer loyalty. A cookie is a file that is downloaded to your computer when you access certain websites. Cookies allow a website to, among other things, store and retrieve information about a user or their device's browsing habits and, depending on the information they contain and the way in which their device is used, may be used to recognise the user. *Analysis: these are cookies that, when processed by us or by third parties, allow us to quantify the number of users and therefore measure and carry out statistical analysis about how the users use the service. In order to do this, we analyse your navigation on our website in order to improve the user’s experience. Note: The "typical" cookies are only used by the owner of this website and the "third-party" cookies are also used by the service provider detailed in the table above. Other browsers: check the manual for the browser that you have installed. If you do not wish to receive information from us, you can unsubscribe by replying to this message and we will stop sending it to you. At any time, you can request information or any other service from us again. Instituto Hemingway reserves the right to modify its prices. Discount on early payments: There is a 5% discount (except enrollment and accommodation) on payments made at least 8 weeks before the start of the program.